If you asked 100 foodies to guess where MasterChef judge and well known lover of Asian food John Torode ate the ‘best Thai food outside of Thailand’, chances are precisely none of them would’ve said Bolton. That’s exactly what he said last year after eating at Thailand Cafe on Bridge Street. A lucky escape if you ask me after being turned away from La Salsa, the fully booked yet distinctly average tapas restaurant next door. 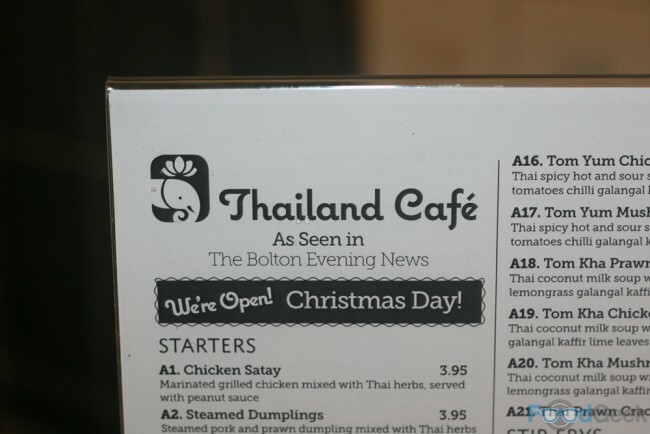 Bolton doesn’t have much to shout about when it comes to food, so this was headline news for the town. In January I finally got around to checking it out myself. It’s really not much to look at. From the outside it appears to be a dodgy takeaway, in fact, that’s exactly what it used to be. It’s not much fancier inside either, canteen style if we’re being kind. Thailand Cafe is run by husband and wife Pong and Ying, who moved to England from Bangkok 15 years ago and had a place in Manchester before setting up in Bolton last summer. 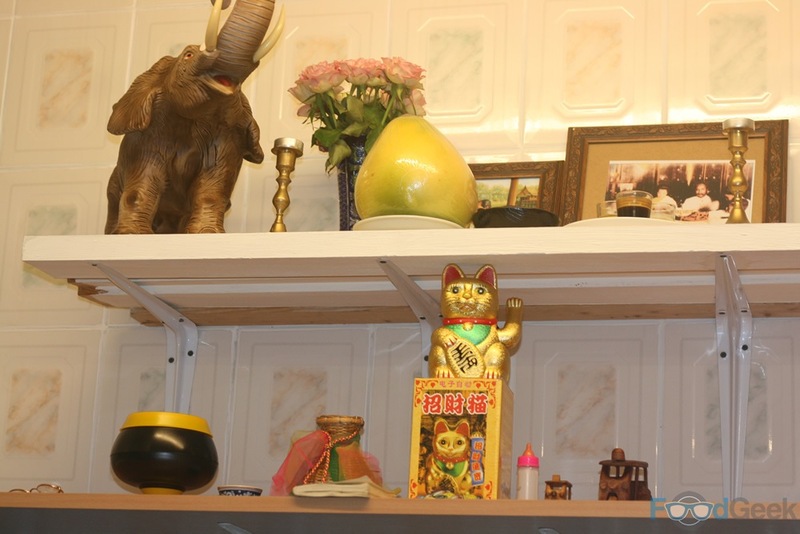 The menu covers all the basis; from dumplings, Thai sausage and Tom Yum soup to Green & Red Curries and of course Pad Thai. We got off to a great start with ‘Som Tom Thai’, a healthy papaya, tomato and carrot salad that was bursting with flavour. 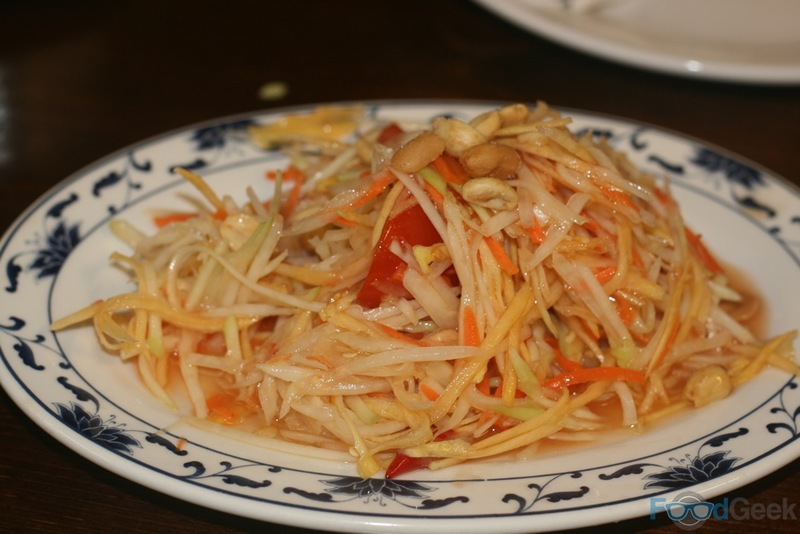 The sweetness from the vegetables was balanced perfectly by lime, fish sauce and a good chilli kick. 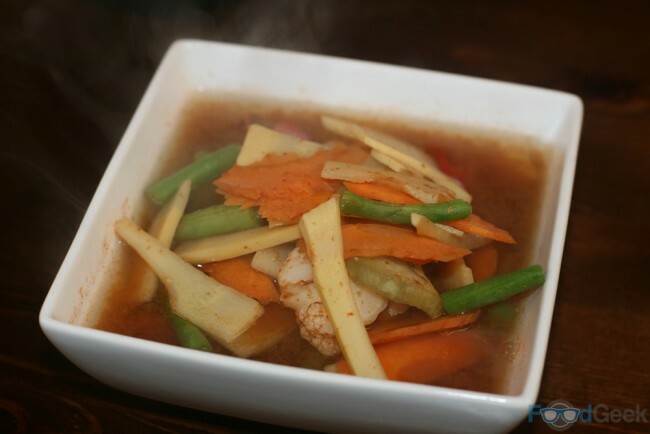 For me the combination of sweet, sour, savoury and hot is what great Thai food is all about, and this ticked every box. ‘Steamed Dumplings’ were even better. 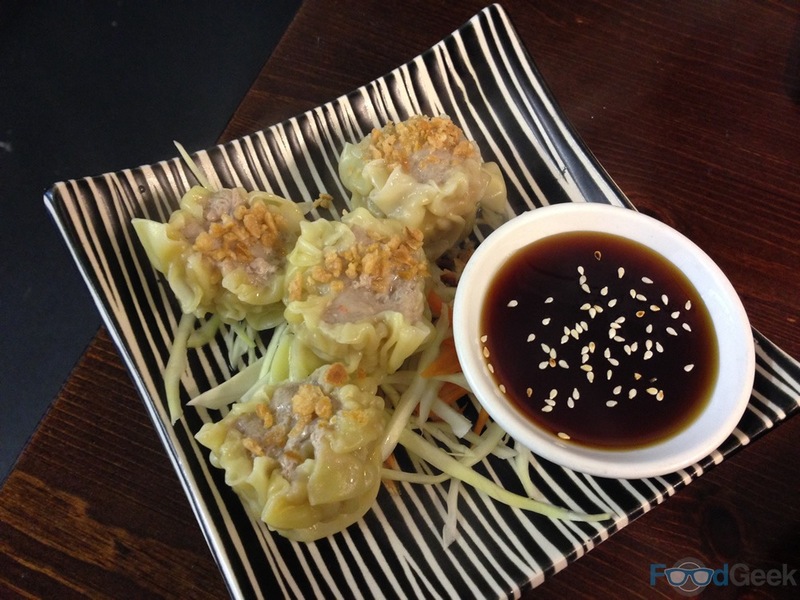 Pockets of silky smooth dough filled with a mixture of minced pork, prawn and Thai herbs. Main courses kept the standard high; the ‘Jungle Curry’ was brilliant. A mixed veg curry in a fiery broth full of ginger, fresh peppercorns and red chilli. There’s a choice of beef, pork, chicken or prawn. I chose the latter; they were plump, juicy and delicious. There was some confusion with our other main course. We’d ordered ‘Pad Krapow’, an aubergine based dish, so were surprised when a stir fry turned up without so much as a slice of aubergine in sight. Eventually we figured out that what we actually ordered was ‘Pad Krapow Aubergine’ but what we received was ‘Pad Kra Pow’. It’s easy to see how it happened. Not that it mattered as we very much enjoyed the erroneous dish anyway and would’ve happily ordered it. 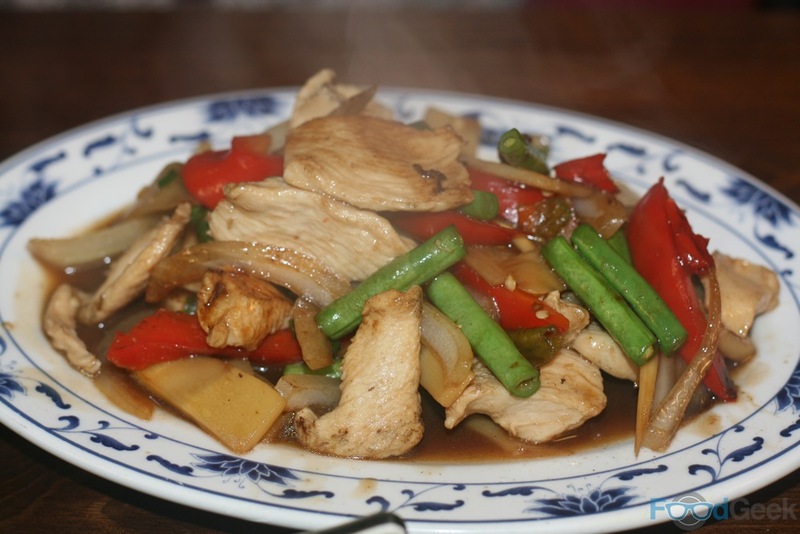 Tender chicken was stir fried with chilli, garlic, red pepper, green beans and the occasional fried lotus root. So I was just as impressed as John Torode with the food at Thailand Cafe. 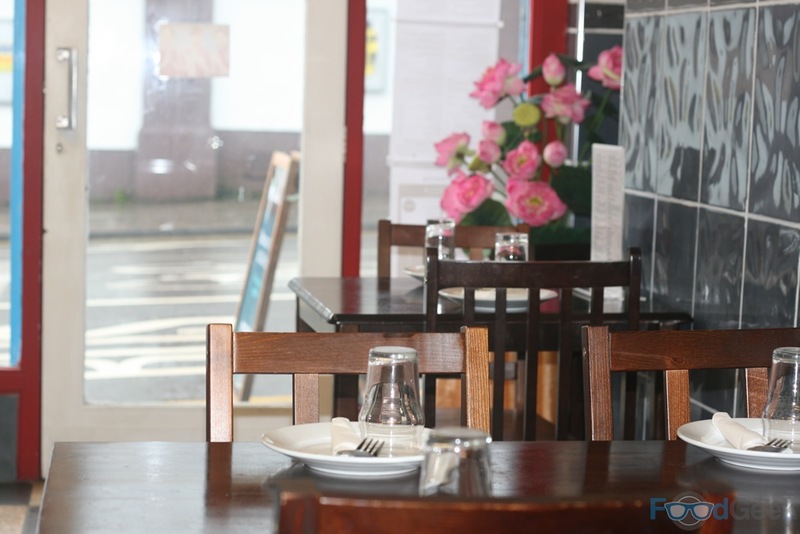 Service is simple as you would expect but very charming and I really enjoyed the relaxed atmosphere. My only two minor negatives were the lack of chopsticks (perhaps they think people from Bolton wouldn’t know what to do with them?) and that there’s no alcohol available. 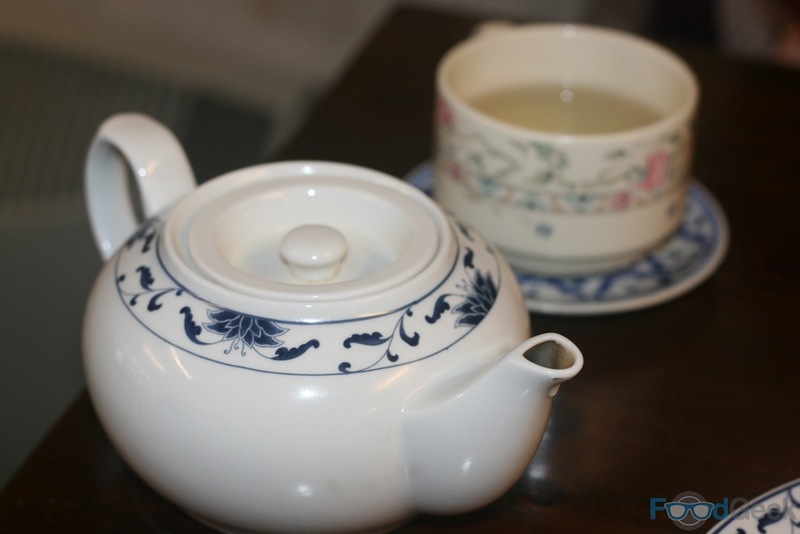 Though my liver says thank you for the green tea. Having had such a great time and because there was so much left on the menu that I wanted to try, I returned a couple of weeks later for another go. Something I’ve not done at any restaurant for a long time. On the second visit they had the ‘Thai Sausages’ that weren’t available the first time. Boy, were they were worth the wait. 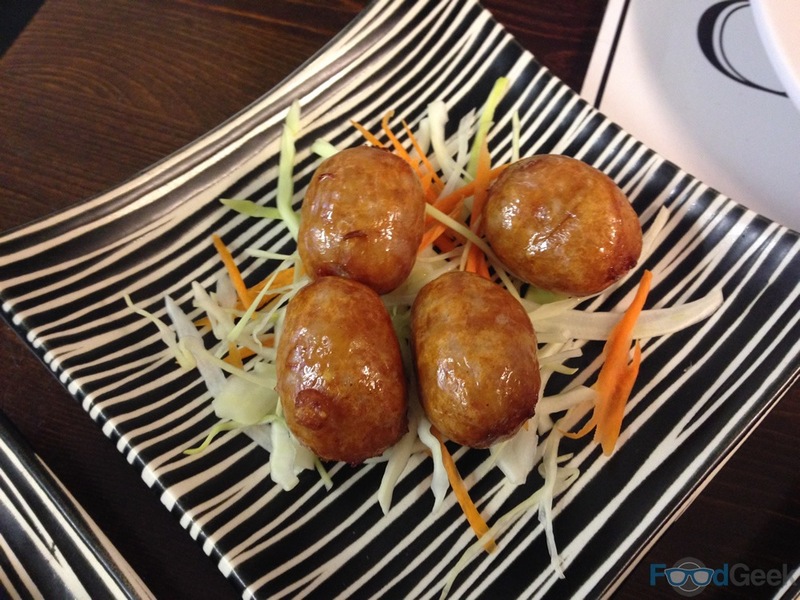 Absolutely brilliant homemade sausages of minced fermented pork with Thai herbs and spices. 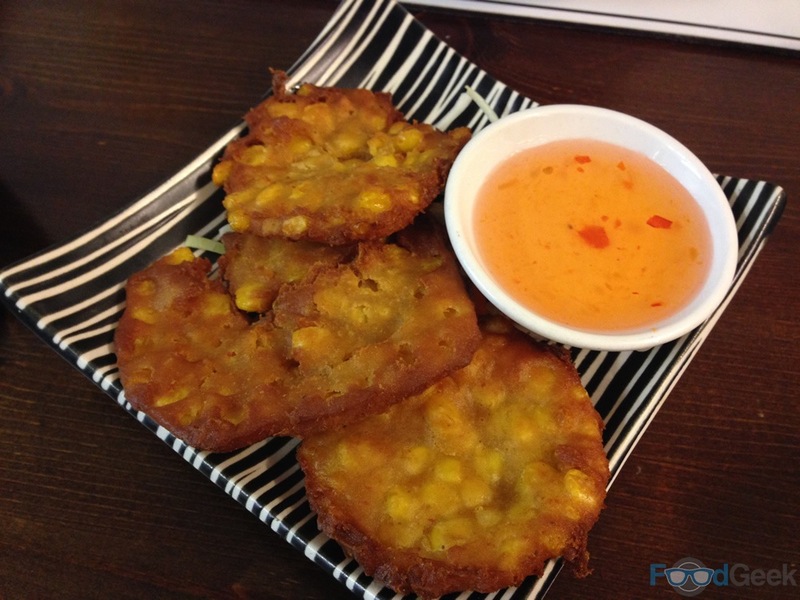 ‘Thai Sweetcorn Cakes’ were also excellent. I worried that they may be too sweet, particularly as they came with a Thai sweet chilli sauce but the spices and the addition of lime leaves balanced them beautifully. I couldn’t resist ordering another portion of the ‘Steamed Dumplings’ as well. They were every bit as good as I remembered from the first time around. I’m going to struggle not getting these and the Thai sausage every single time. For main course we went for the ‘Pad Krapow Aubergine’ that we tried to order previously. 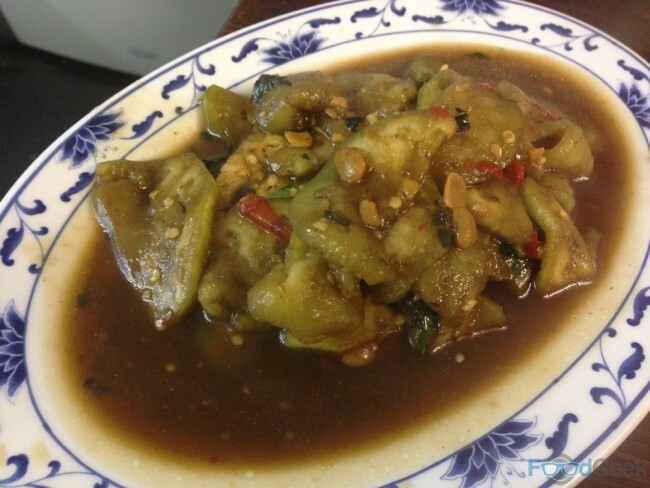 The aubergine cooked with holy basil, chilli and peanuts didn’t look particularly appetising but was another good dish. Although we actually slightly preferred the Pad Kra Pow that we mistakenly received last time. 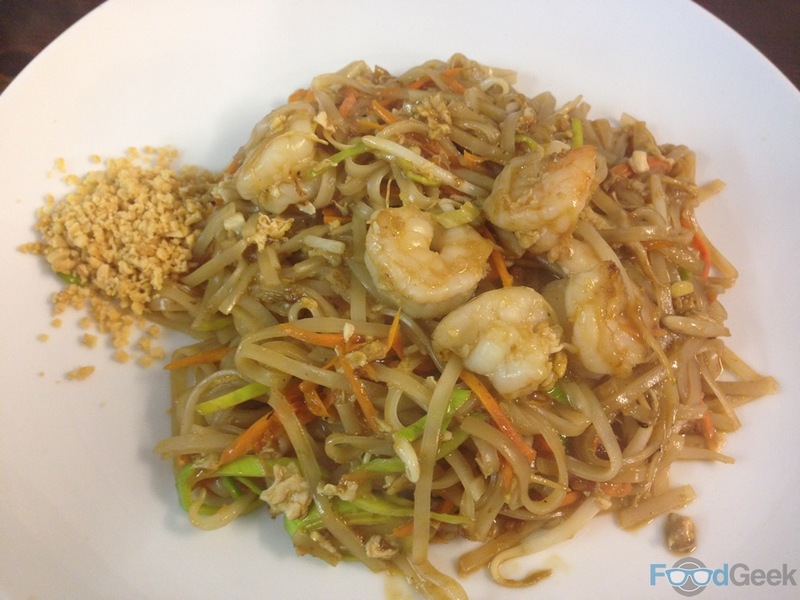 Over the two visits there was only one dish that I didn’t enjoy, classic noodle dish ‘Pad Thai’. The noodles, veg and prawns were cooked well but I found it far too sweet and very one-dimensional. I realise that I’m more adverse to sweetness in main courses than many but for me a good Pad Thai has to have heat, sourness and savouriness as well as sweetness but this just didn’t. It would’ve been improved immensely by having condiments on the table to allow adjusting of dishes, as is tradition in most Thai places. 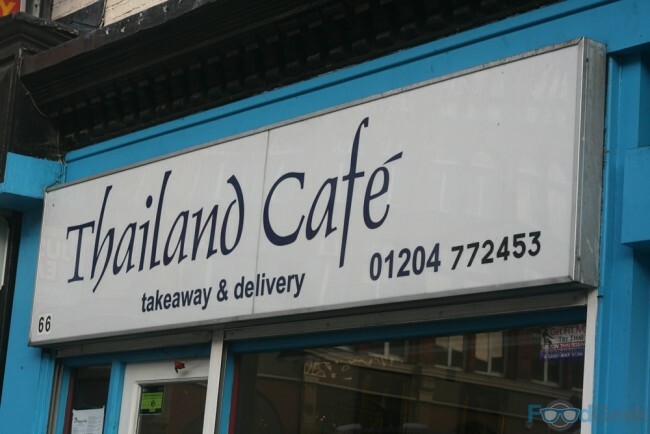 Despite the Pad Thai I’m still a massive fan of Thailand Cafe and will certainly be returning regularly. It’s easy to see why John Torode loved it so much. 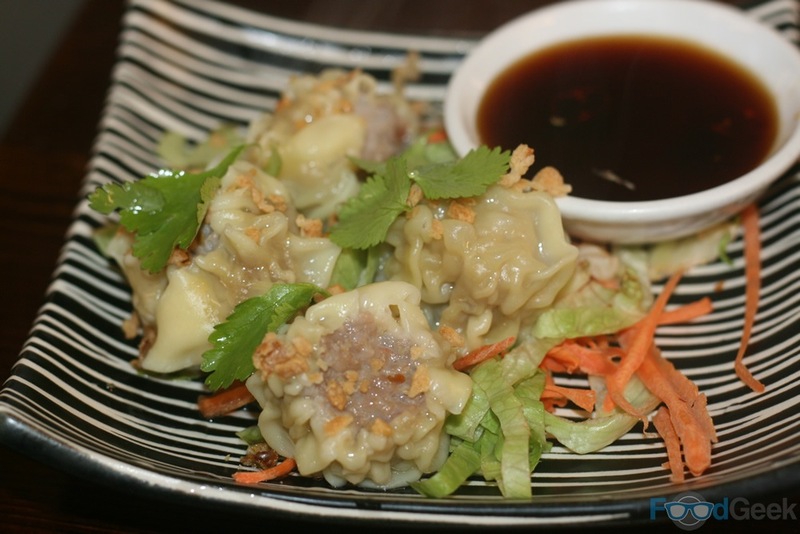 I’ve since visited the very highly regarded Siam Smiles (review coming soon) in Manchester’s Chinatown and whilst I enjoyed Siam as well, I actually preferred many things about Thai Cafe. It’s phenomenal value for money too. My only concern is that despite the celebrity endorsement it was very quiet on both occasions. So if you like Thai food – or just good food – don’t be put off by the no frills style, give them a visit. 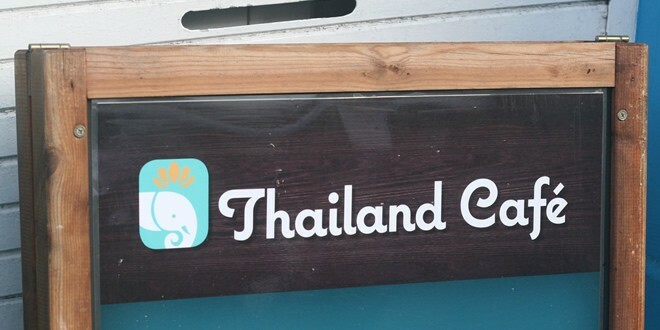 Summary : The best Thai food John Torode has had outside of Thailand. I think it's pretty great too. Chopsticks aren’t typically used in Thailand (thank god, as they are very silly things). Many people have pointed this out to me over the past few days. Sadly I’ve never been to Thailand so I’m quite surprised to hear that. I have however been to many Thai restaurants and almost always had chopsticks available which is what I was comparing too. Not been here before, pics make the food look lovely! Might just venture over there soon, great review thanks! Thanks Graham. You definitely should visit. I’ve been a few more times since the review and it’s been worryingly quiet each time. I’d hate to see it disappear!